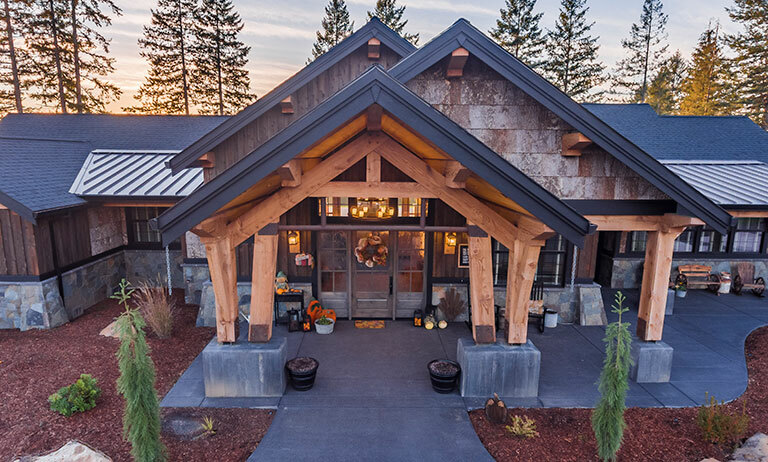 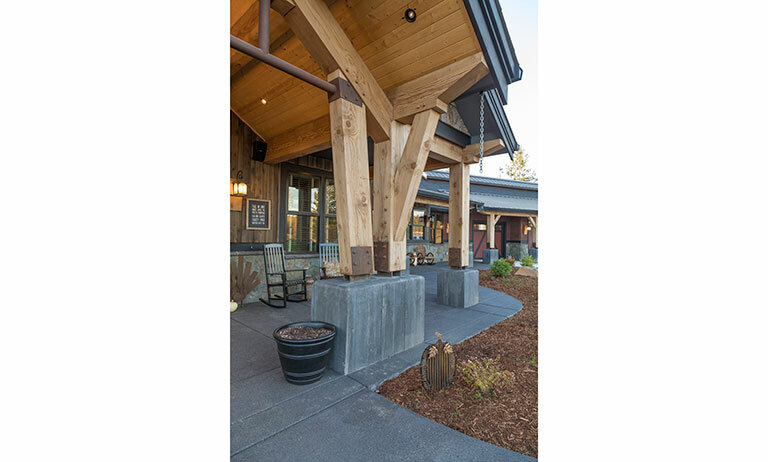 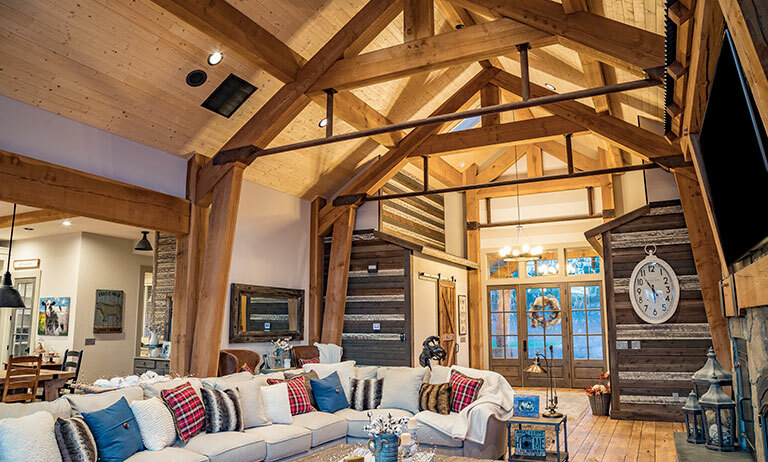 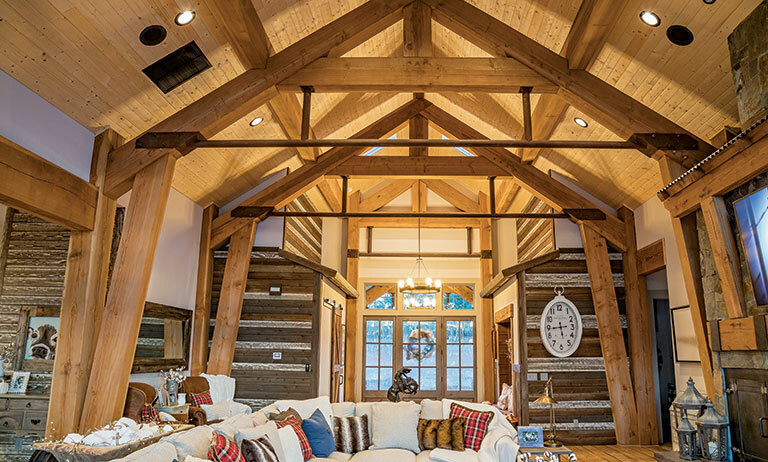 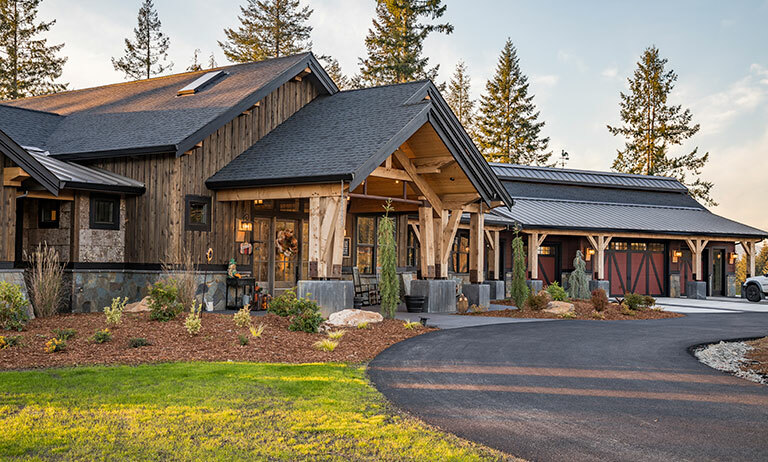 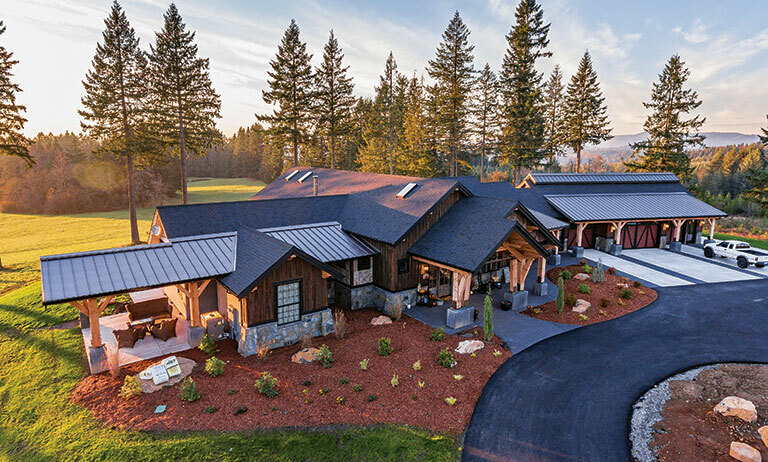 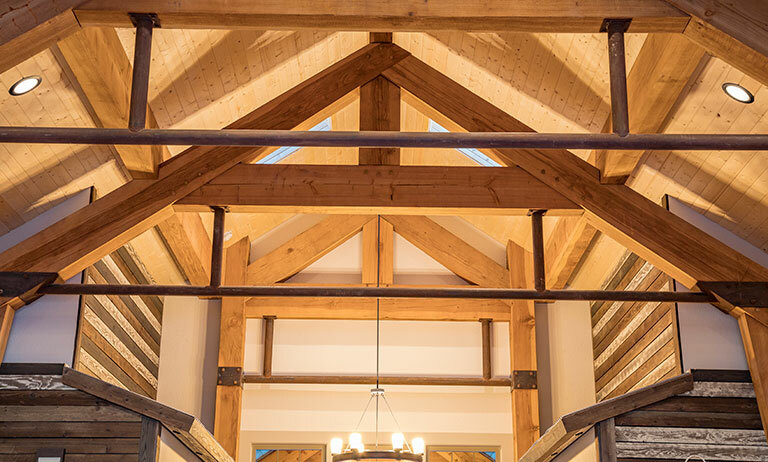 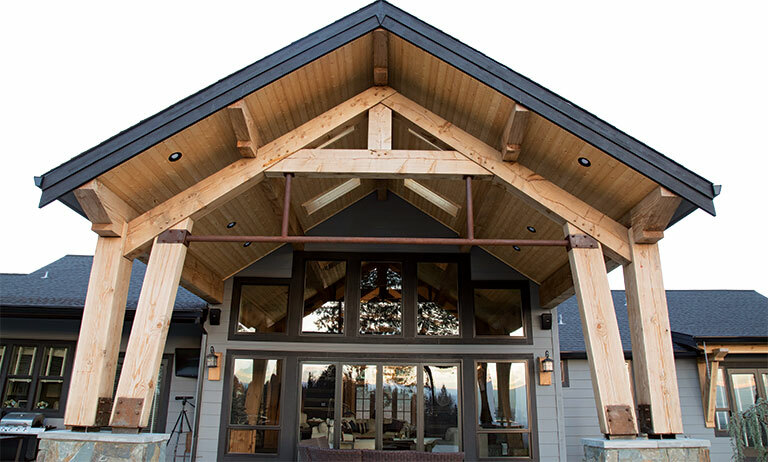 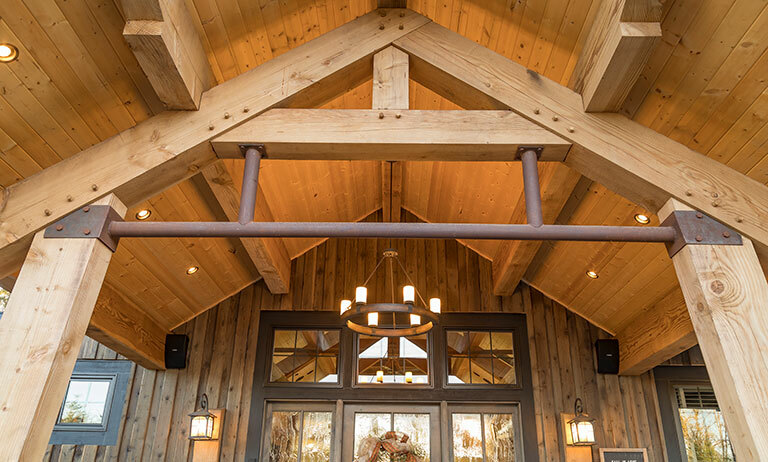 The finished 3,755-square-foot ranch-style home features 3 bedrooms and a substantial Douglas fir timber frame in the main living areas of the house. 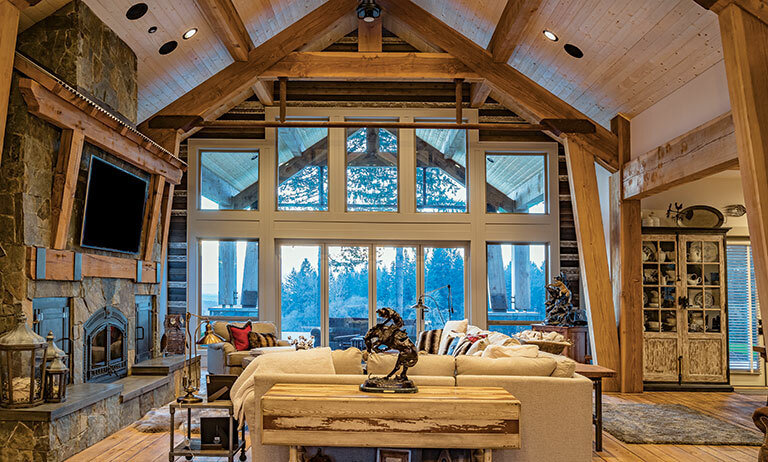 Conventional framing was used in other less visible areas of the home. 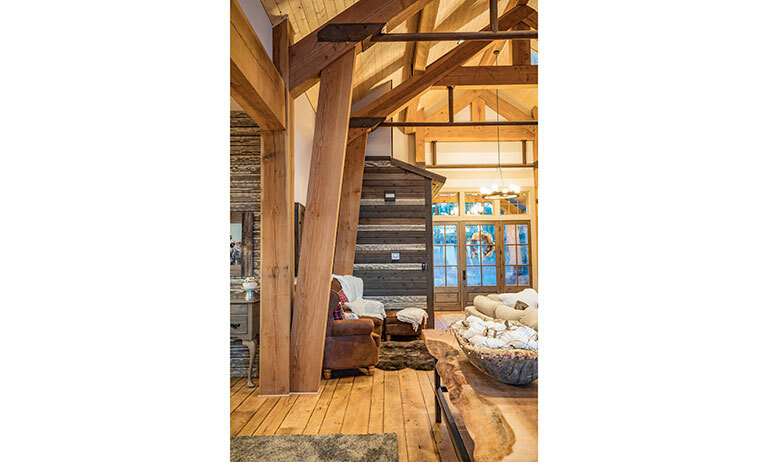 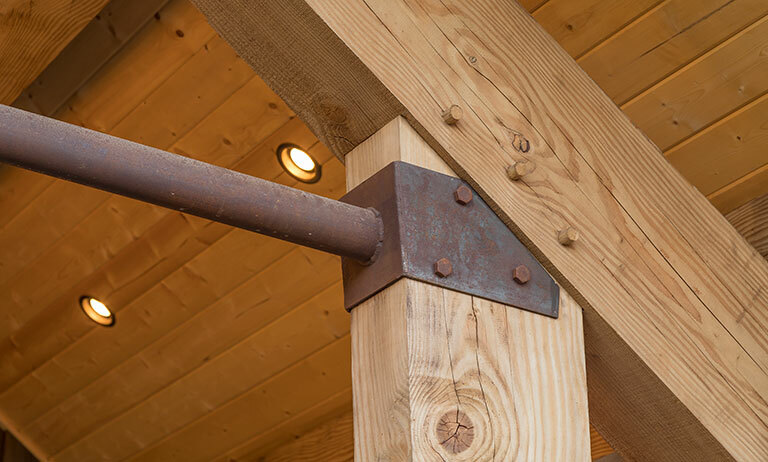 “The mantle and shiplap-style siding were both made from reclaimed wood while a lot of the metal used in the house was wire brushed to give the house that distressed, rusted look,” says Duvall. 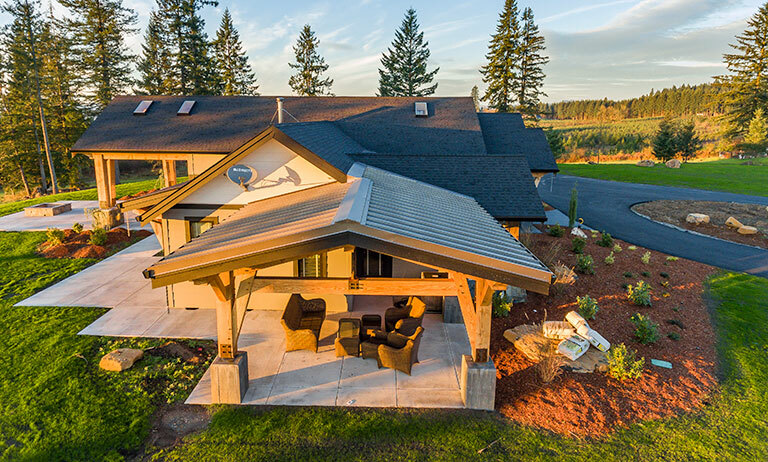 The result is a true hybrid home that celebrates a unique mix of styles and complements its natural surroundings.